Oh, and that rubber oil drain hose will be toast in no time. Mine was toast after a few thousand miles and it was high temp silicone and and wrapped in DEI shielding. Also, you have a vented catch can but with a second hose on it, where do you have that running to? I'm interested to know how well the car drives for normal everyday use .... Idle , low speed part throttle acceleration , transition into boost etc . No sugar coating ....................please . Too many bad decisions have been made around here based on someones over enthusiastic evaluation (driven by a desire to stay onside with the supplier ). Yep, dyno pulls are one thing, cold morning start up and driving in 100+F heat in traffic are another. Thanks for sharing, I am looking forward to the finer details. Sorry English is not my first language. Rubber is special and is not regular rubber and is protected. The car is running normal with no problems. All suggestions and help on the project is accepted with respect. My mechanic has made rx8 with over 400rwhp , stock engine without problems since 2004. 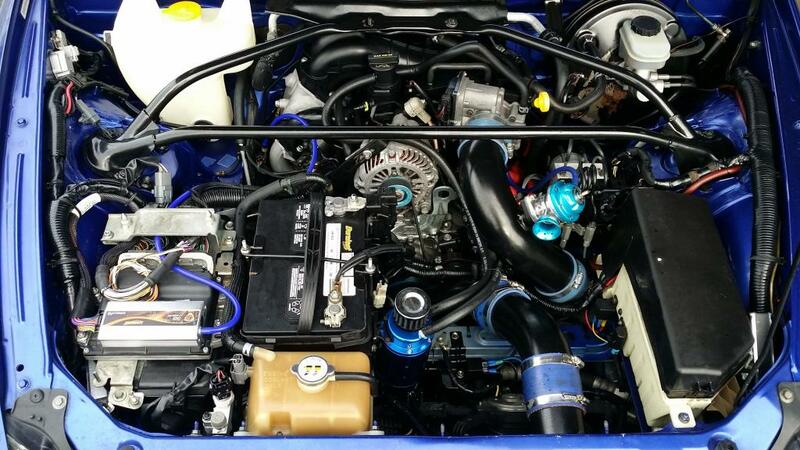 But is it the first rx8 series 2 with small turbo. On the other hand my mechanical are friend of the racing beat engineer and Esmeril racing and he worked together on the research of different rotary engines . 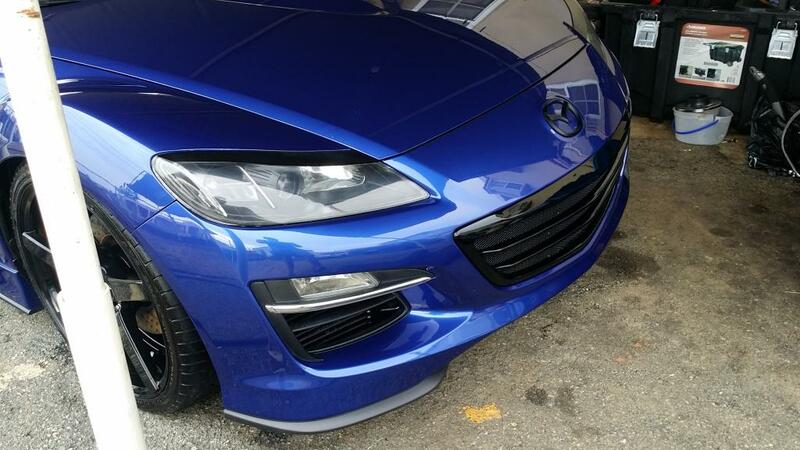 So are we in the research and observing the behavior of the rx8 series 2 with the small turbo and haltech ecu. We get valuable information direct from racing beat, the limits of rx8 engine in timing on boost and exhaust temperature limit. We return to the dyno for new program with new information , horsepower will be lost but will be safe , as we continue to investigate . Racing beat information. Timing no more than 14 in boost and exhaust temperature 12.3 to 12.5 is safe on boost with spark plug in 9 or 10.5. Last edited by gamaliel31; 04-03-2014 at 11:36 PM. There is nothing better than using the oem ecu and program it to with the turbo kit, but in the series 2 I can not do, so I had to choose between microtech, Haltech or FuelTech. soon video in morning and daly use. You can use Mazda Edit on the Series 2 ECU and most recently Versatuner started support for it. VersaTuner is tuning software for Mazdaspeed, Mazda MPS, CX-7 and RX-8 vehicles. It is a Windows application that allows reflashing/remapping (chip tuning) of Mazda MZR DISI and rotary engine ECUs, data logging, tune editing and diagnostics. No matter what your goals are - increased horsepower, better fuel economy or engine performance analysis, VersaTuner offers a rich set of unique and powerful features with an attractive and easy to use graphical interface. It leverages the power and connectivity of your PC/laptop to provide a tightly integrated, colorful and exciting tuning experience that has been designed for the modern world of social networking and internet technologies. VersaTuner unlocks the hidden potential in the engine of your car. you went through all that for a Greddy turbo setup? What fuel are you using??? 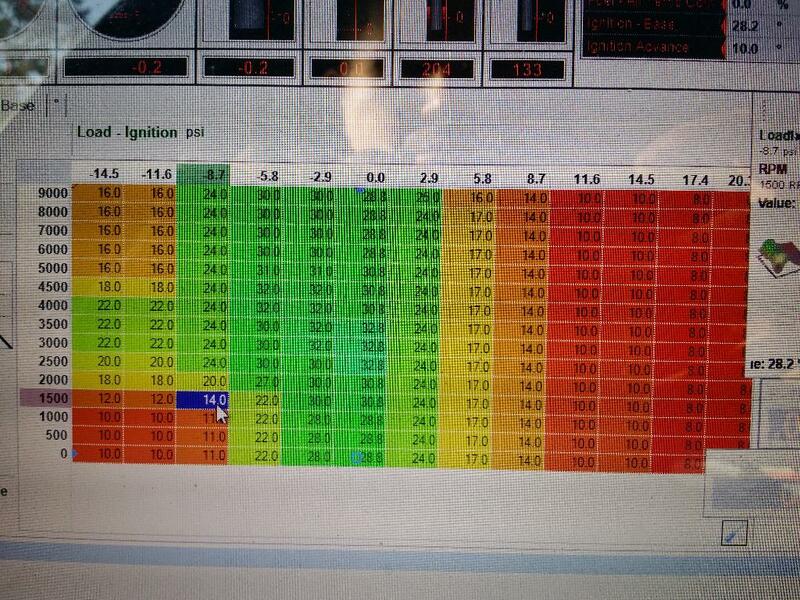 With 100RON, you can use at least 3-4 degrees more at 7 psi, with afr under 12. 14 degrees are good for 0.8-0.9 bar (11 - 13 psi). 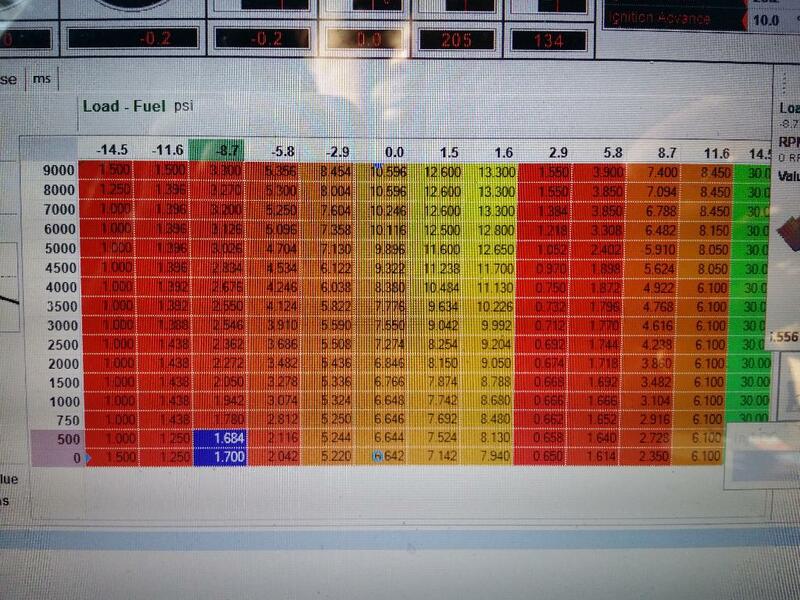 My friend from racing beat said 14 degress is safe on boost more degress is not safe for the stock rx8 engine. before I talking with y car have 17 degress but he said is 2 much agressive for 91oct. Que marca de injectores compraste ? , nosotros estemos corriendo los basados en bosch ev14 tamano 1200 sin problemas con el P1000. El truco para nosotros era montar los dead times correcto del injector para el ecu. Con chispa en rotativo , siempre he sido muy timido. no es como motor piston que los 3 a 5 grados hacen gran diferencia. Especialment con octanaje 91. Utilice 800 en alta ev14 y tengo puesto en baja injectores stock de alta. 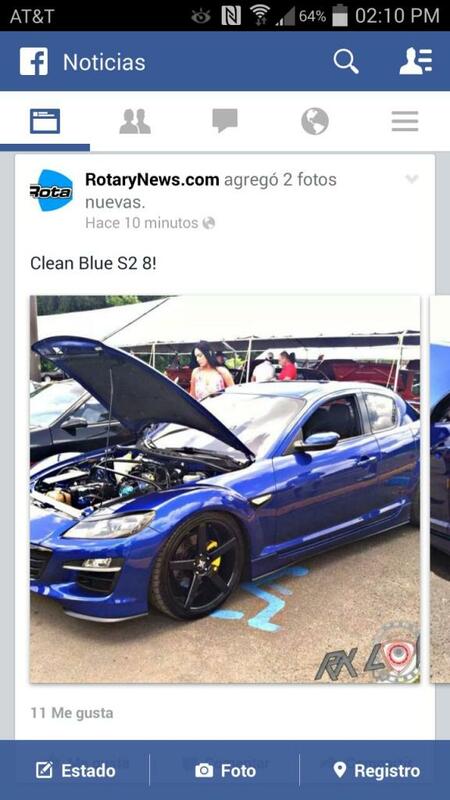 Hasta ahora 4,000 millas sin problemas. .
National Rotary day in Puerto Rico. Last edited by 9krpmrx8; 10-22-2014 at 11:38 PM. Did that AEM fuel pump you pictured on the first post fit into the s2 fuel pump assembly without issue ? Is it the same pump sold to suit the S1 ?